This important and educational article was written by Mario Vittone and should be shared globally. How did this captain know? – from fifty feet away – what the father couldn’t recognize from just ten? Drowning is not the violent, splashing, call for help that most people expect. The captain was trained to recognize drowning by experts and years of experience. The father, on the other hand, had learned what drowning looks like by watching television. If you spend time on or near the water (hint: that’s all of us) then you should make sure that you and your crew knows what to look for whenever people enter the water. Until she cried a tearful, “Daddy,” she hadn’t made a sound. As a former Coast Guard rescue swimmer, I wasn’t surprised at all by this story. Drowning is almost always a deceptively quiet event. The waving, splashing, and yelling that dramatic conditioning prepares us to look for, is rarely seen in real life. The Instinctive Drowning Response (IDR) – so named by Francesco A. Pia, Ph.D., is what people do to avoid actual or perceived suffocation in the water. And it does not look like most people expect. There is very little splashing, no waving, and no yelling or calls for help of any kind. To get an idea of just how quiet and undramatic from the surface drowning can be, consider this: It is the number two cause of accidental death in children, age 15 and under (just behind vehicle accidents) – of the approximately 750 children who will drown next year, about 375 of them will do so within 25 yards of a parent or other adult. In ten percent of those drownings, the adult will actually watch them do it, having no idea it is happening (source: CDC). Drowning does not look like drowning – Dr. Pia, in an article in the Coast Guard’s On Scene Magazine, described the instinctive drowning response like this:“Except in rare circumstances, drowning people are physiologically unable to call out for help. The respiratory system was designed for breathing. Speech is the secondary or overlaid function. Breathing must be fulfilled, before speech occurs.Drowning people’s mouths alternately sink below and reappear above the surface of the water. 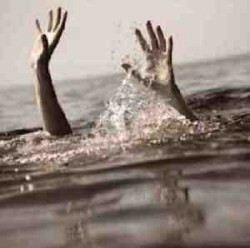 The mouths of drowning people are not above the surface long enough for them to exhale, inhale, and call out for help. When drowning people’s mouths are above the surface, they exhale and inhale quickly before their mouths start to sink below the surface again. Drowning people cannot wave for help. Nature instinctively forces them to extend their arms laterally and press down on the water’s surface. Doing this permits drowning people to leverage their bodies so they can lift their mouths out of the water to breathe. Throughout the IDR, drowning people cannot voluntarily control their arm movements. Physiologically, drowning people who are struggling on the surface of the water cannot stop drowning and perform voluntary movements such as waving for help, moving toward a rescuer, or reaching out for a piece of rescue equipment. From beginning to end of the IDR people’s bodies remain upright in the water, with no evidence of a supporting kick. Unless rescued by a trained lifeguard, these drowning people can only struggle on the surface of the water from 20 to 60 seconds before submersion occurs”.